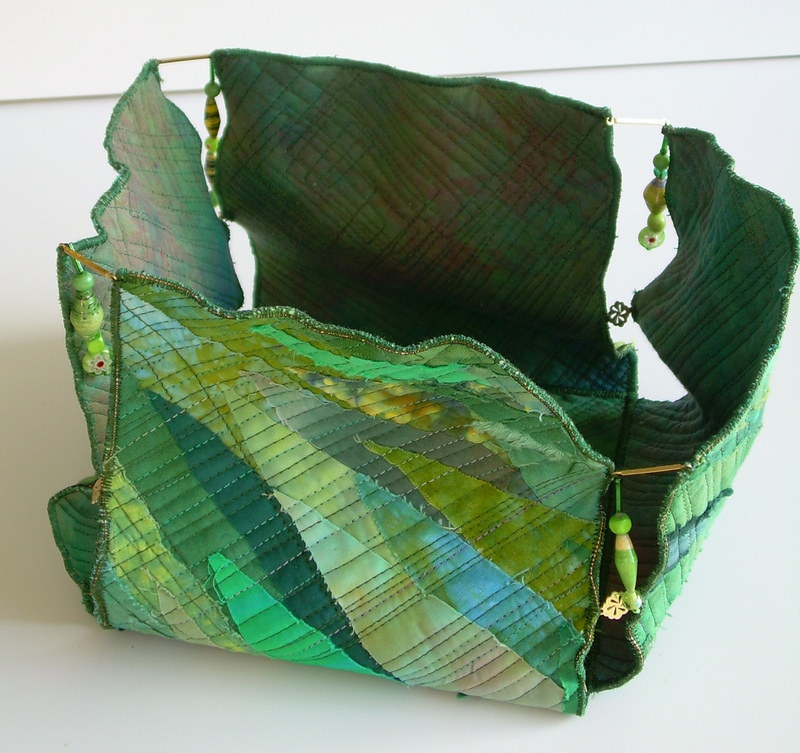 I recently learned that Color Improvisations will be shown alongside The Knitting and Stitching Show in both England and Ireland in autumn 2012. My two quilts created for the show, “Seeing the Light” and “Out on a Limb,” will be among those on exhibit. The London exhibition will be held at the Alexandra Palace October 11-14, 2012. The palace was originally built by the people of North London to mirror the Crystal Place in South London where the Great Exhibition was staged in 1851. During the last century the Alexandra Palace was the home of the BBC and the world’s first television transmission was broadcast from this building. Today the Knitting and Stitching Show in London attracts some 50,000 visitors and is the leading public textile event in Europe. 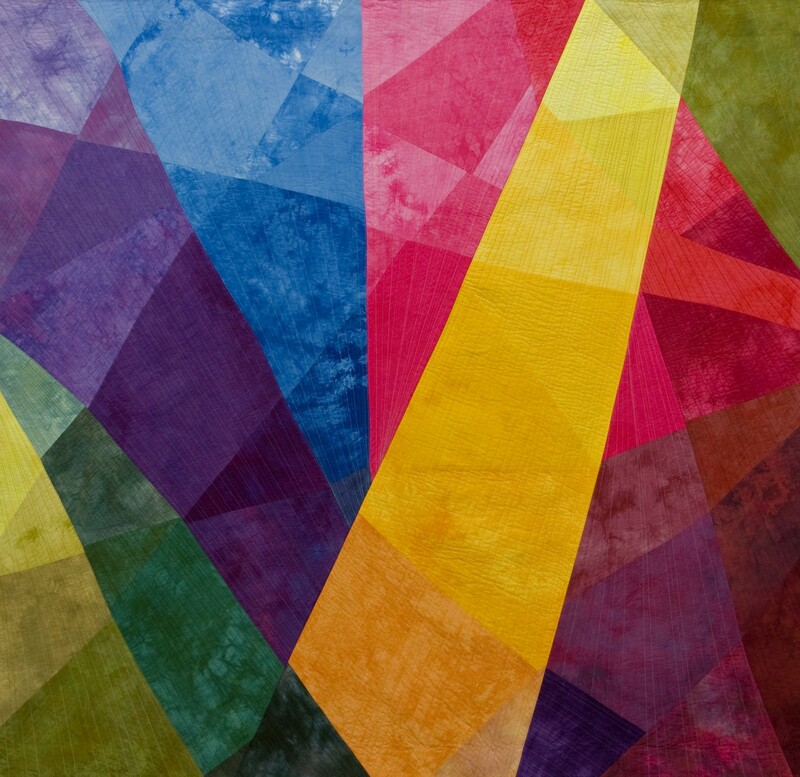 To mark the opening of the London event, Nancy Crow, who curated the Color Improvisations exhibition, has been invited to lecture on Friday, October 12, 2012, at the prestigious Victoria and Albert Museum. 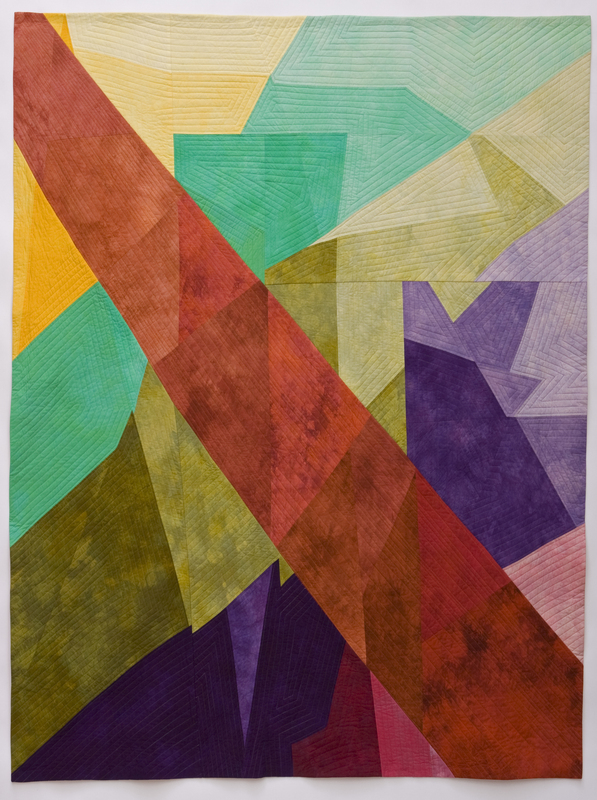 November 1-4, 2012, the Knitting and Stitching Show will host Color Improvisations at the Royal Dublin Society in Dublin, Ireland. The RDS was formed in 1731 to promote the development of Ireland’s agriculture, arts and science. The Knitting and Stitching Show attracts around 24,000 visitors each year in Dublin. Color Improvisations will be housed in an adjoining hall where recent renovations have uncovered an original timber framed and pillared Victorian hall. Closer to home one of my three-dimensional quilts, “Green Vessel,” has been juried into Earth and Fire, a Columbia Fiber Arts exhibition at Museum of Contemporary Craft in Portland, OR. (museumofcontemporarycraft.org) The exhibit contains 26 pieces by member artists of CFG and will be on display through January 8, 2012. CFG’s exhibition is in conjunction with Northwest Modern: Revisiting the Annual Ceramic Exhibitions of 1950–64, an examination of juried exhibitions held at the Oregon Ceramic Studio, now Museum of Contemporary Craft. Meanwhile, you might be wondering about what happened to my “sticks” project. Actually one is blocked out on my design wall, but it’s on hold as I complete some Christmas projects. They’re a secret until after December 25th when I’ll share with you my successes – and frustrations! At this time of year I reflect on the many things for which I’m thankful – family, friends, church, good (and aging) health, and especially the opportunity to create art. May you have many blessings, too.